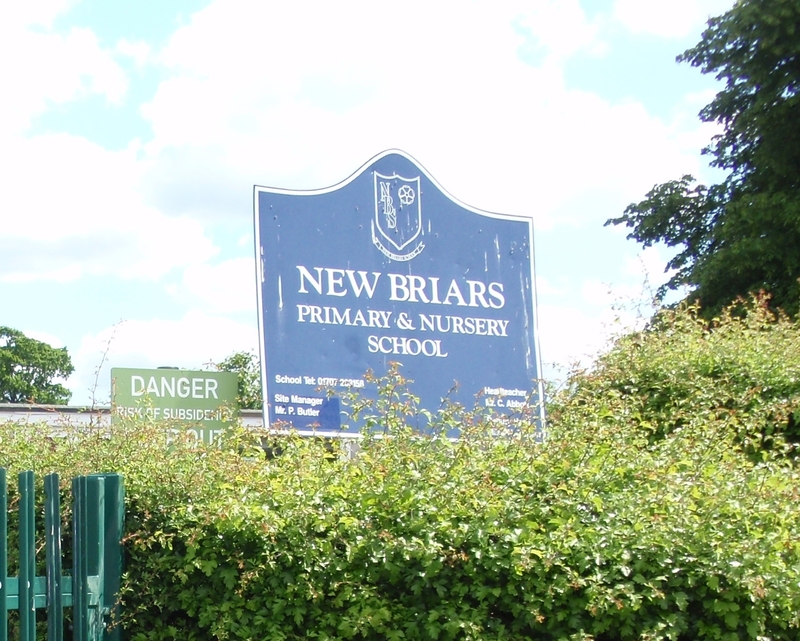 New Briars School was an amalgamation of Newtown (Dellfield) Junior School and Briars Lane Infants school opening c.1985. 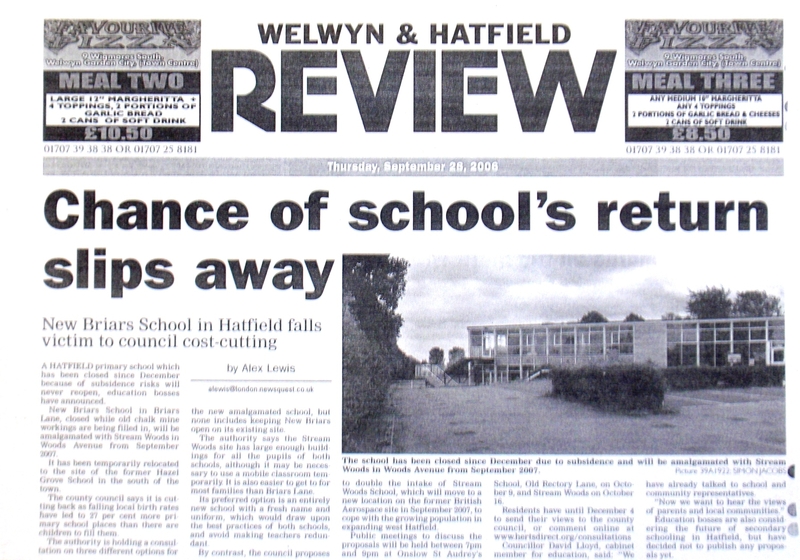 The school temporarily closed in 2005, due to fears of subsidence caused by underground chalk mines which were eventually filled in. It was hoped that the school would reopen and until that time the children used the buildings of the former Hazel Grove school. Eventually however in 2007 a decision was taken to close New Briars School and the buildings were demolished. 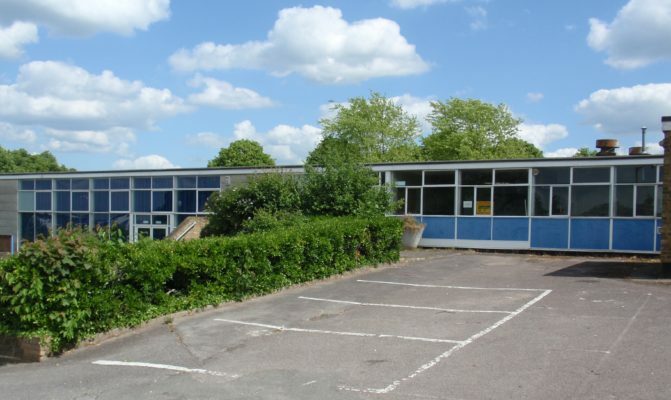 A new school, Hatfield Community Free School,has now been built on the site, this school opened in 2012. This page was added on 12/06/2011. I can not help but laugh at the Welwyn Hatfield Times write up about Briars Lane (now Hatfield Community Free) and it saying in 2007, yes only 10 years ago, we did not have enough children in Hatfield schools; certainly not the case now in 2017. I work at De Havilland primary and we have three class intake in September for our Reception Year; how things can change in a decade.